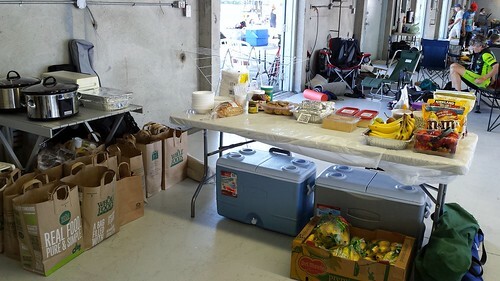 I did not plan on taking up the role of team chef again for Montreal 24h Relay in 2014. It is a lot of hard work, sleepless nights, and logistical challenges. Although my experience in 2011, 2012, and 2013 were all positive, turmoil in my personal life sucked all motivation to do anything ambitious like feeding 25 people over the course of 24 hours in a city 5 hours away from home. However, when I found out that my friend would race with our team on condition that I take on the role of team chef once more, I said yes. 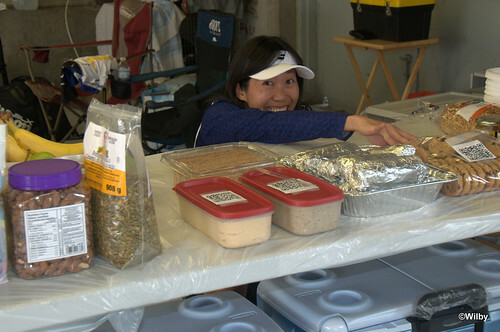 Thus began three weeks of frantic preparation to feed members of Toronto Inline Skating Club. Planning is key to success but staring down my spreadsheet to lock down the menu, compile the shopping list, and inventory my supplies are not glamorous work. I decided to go easy on myself and stuck to my greatest hits. I chose dishes that I served in previous years and were well-received. That took care of the hot main courses as well as numerous salads and breakfast items on the menu. 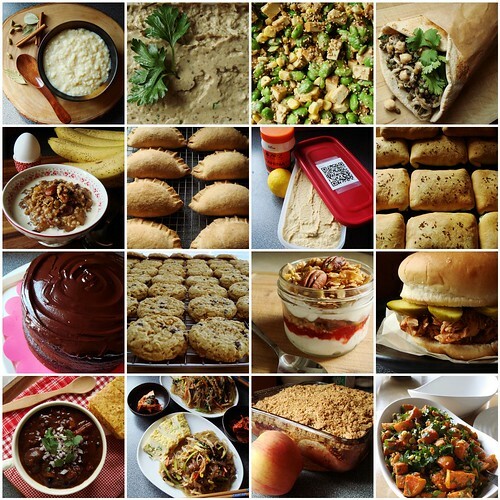 Lunch and dessert selection was weak last year so I was determined to improve in 2014. Sweden holds a special place in my travel experiences. It is one of the few countries I never planned to visit yet I somehow ended up in more than one occasions. Back in 2007, I spent a few days in Stockholm, Kiruna, and Jukkasjärvi as part of a whirlwind destination wedding at the Ice Hotel. In 2012, my Danish host took me on a day trip to Helsingborg (home of IKEA headquarter) while he was in the city for business meeting. My exposure to this Scandinavian country may be brief but all of the experiences were most memorable. For this very same reason, all the Swedish dessert I managed to sample left strong impressions. Earlier this year I was on a Swedish baking streak experimenting with semlor, kanelbullar, lussekatter, and rye loaf. 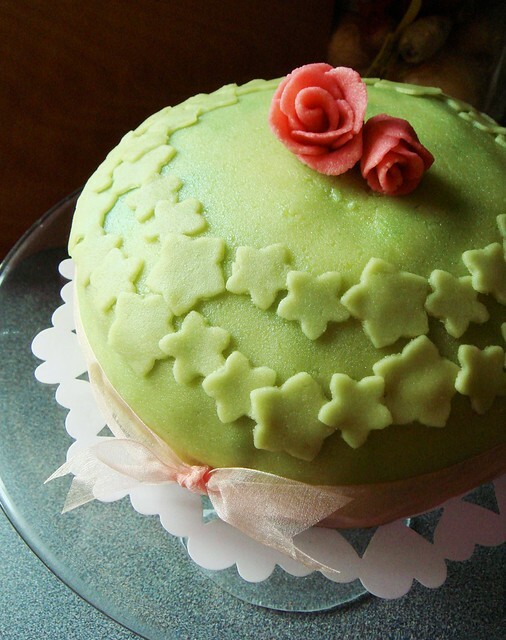 Prinsesstårta (Swedish Princess Cake) was high on my priority list except I felt intimidated by the technical challenge. Procrastination ensued and I put the thought on the back burner. Last Saturday my friends and I had our annual Cake Day, a day on which we celebrate baking, laughter, and friendship. In 2013 I made Mont Blanc, Chocolate Root Beer Bundt, and Gateau Breton. It was my first time taking part so I did not know what to expect. The sheer amount of baking, washing, photos, and great food all under controlled chaos was mind boggling. But I would not trade my invitation for the world. With last year’s experience fresh in my mind, I brainstormed for cake ideas. A few weeks ago I drove to Chicago on my own for a weekend of racing at the Chicagoland Inline Marathon. I attended this race countless times before but always traveled with other skaters. The 9-hour drive was decidedly not fun but I did enjoy the freedom to explore Chicago on my own between races. My wallet had the misfortune of visiting the AllSaints outlet store in Rosemont Fashion Outlets. My belly, on the other hand, had the pleasure of finally brunching at Rick Bayless’ XOCO. Every time I connect through O’Hare Airport, I always stop at Torta Frontera for a quick meal. 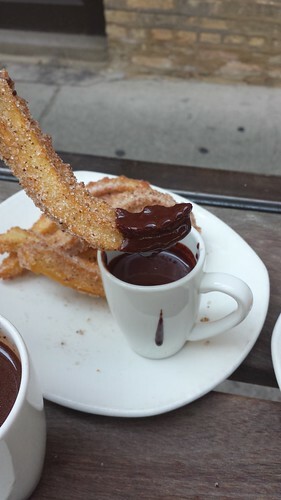 Oh XOCO’s churros and bean-to-cup chocolate were everything I hoped for and more! As always, I ordered too many things. My brunch consisted of eggs & chorizo empanada, sikil pak, Oaxacan chocolate biscocho, churros with dipping chocolate, and Aztec hot chocolate. It was a feast. The hot and crispy churros with their cinnamon sugar coating were great on their own but absolutely amazing after a dunk in the silky chocolate sauce. The pumpkin seed dip of sikil pak opened my taste buds to a new experience and I’ve been itching to try making it at home since. I am so glad to finally visit XOCO after four years of missed opportunities. As you can imagine, I am a little infatuated with Bayless’ Mexican cuisine. 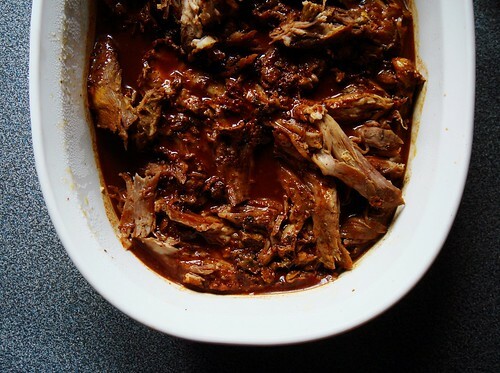 I do not own any of his cookbooks yet but came across his newly posted recipe of slow cooker cochinita pibil. He translated the traditional achiote seasoned whole pit-cooked pig into an easy-to-cook dish suitable for weeknight dinners at home. Brilliant! For time crunch weeknight dinners, nothing pleases me more than having all my ingredients washed, cut, and ready to cook. 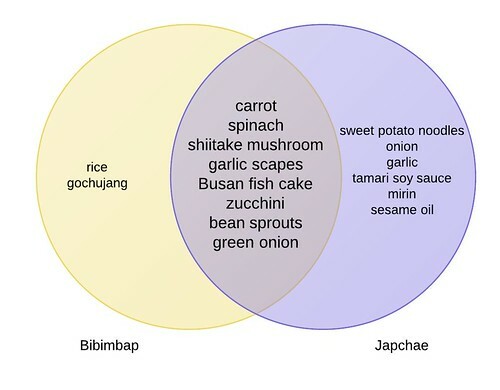 This is especially true for dishes that require meticulous prep involving long list of ingredients. 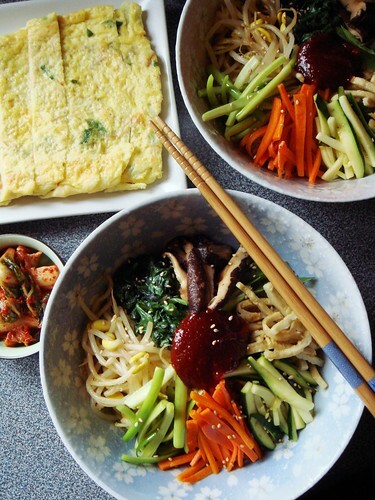 Last weekend I spent a leisurely afternoon slicing up a storm and the result was not one, but two different dinners that satisfied my cravings for Korean food. One of my most memorable pastry experiences in Sydney was Black Star Pastry in Newtown. The closet-size store was packed with customers at any given time and with good reasons. Never mind that I felt so out of place in hipster central. 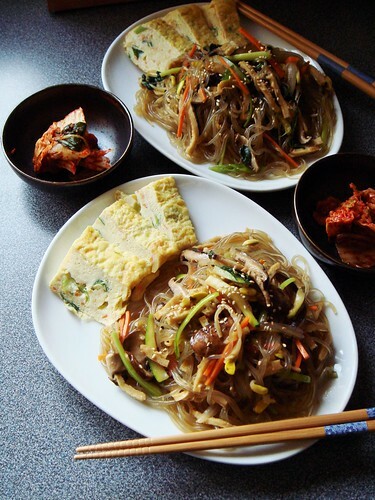 Everything was prepared with great care and absolutely delicious. I only wished I had stomach room to sample more from their creative selection of cakes, pastries, and cookies. 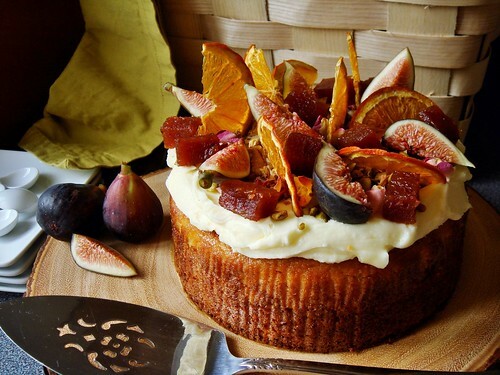 It’s been over 10 months since I returned home and I still dream about their Orange Cake with Persian Fig. I did a bit of digging around and discovered to my surprise that the cake is gluten free. The incredibly moist crumb is result of using whole boiled oranges in the batter. Using whole boiled oranges is not a usual practice with cake baking. How curious! These two clues led me to Claudia Roden’s Middle Eastern Orange Cake recipe. It appears this is a common cake to serve in cafes in Australia. Black Star Pastry’s interpretation included a luscious cream cheese frosting and loaded with rose petals, pistachios, dried figs, and quince paste. I set out to recreate this cake in my home kitchen.